Millennials may be the most misunderstood generation in, well, generations. 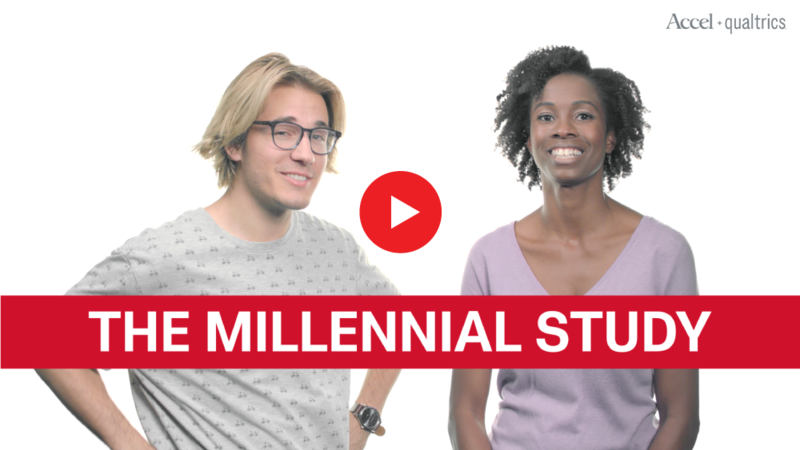 As millennials move on to a new phase of "adulting", Qualtrics and Accel surveyed over 6,000 millennials, Gen Xers and boomers to understand how they're similar, how they're different, and how they're changing. Additional issues will be coming in the next weeks. This year, millennial voters overtook baby boomers as the nation's largest living generation, and millions of millennial women are poised to enter new leadership roles. But is this new generation entirely gender blind? As millennials enter their peak spending years they aren't abstaining like the non-materialistic monks we thought they were. They want material things, but it better be quality things and socially sought-after things. Millennials aren't lazy, they just question the rules. They measure their work by achievement instead of hours logged, and have no problem moving on if it's not a fit. It's out with org charts, scheduled breaks, and dress codes and in with autonomy, missions, and office puppies. Even the oldest millennials have had internet access since high school, so it's no surprise that the "selfie generation" deals in bits as much as it deals in atoms. Growing up plugged in has drastically affected how millennials view the world and themselves. Life is great for millennials, at least according to their Snapchat stories. They're in pretty settings with pretty people, they're artistic, free-thinking, prosperous, tolerant and...not telling the truth? Millennial values can be both contradictory and oddly pragmatic. Millennials value accomplishment over time logged, inclusion over exclusion, yoga pants over jeans (not literally) and sometimes, pets over kids. Is the value compass for millennials leading them to the same place as their parents or into new territory? Millennials are fiercely independent, politically pragmatic and quickly taking the reigns of societal leadership. On social media they can be intimately involved with thousands of friends. At home they're connected to the world 24/7. This hyperconnectivity has shaped the way they see relationships, dating and togetherness. Your third-grade teacher was right, attitude is everything. Millennials with a sunny outlook on their future have different behaviors and perceptions compared to those predicting stormy weather ahead.